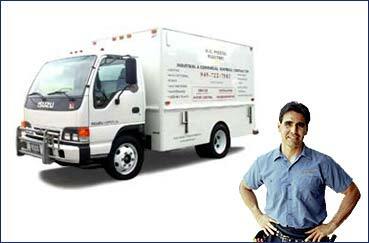 A.C. Pozos Electric services the full spectrum of electrical needs. From residential lighting to powering industrial equipment, we have you covered. We proudly serve the Orange and Los Angeles Counties and look forward to your business. From pathway and pool lighting to living room ambient spots, we have you covered. Your employees won’t be left in the dark with our speedy installations. Your industrial complex’s power supply systems are our main concern. For those emergency service providers, electrical systems do not fail under our watch. © 2018 A.C. Pozos Electric. All Rights Reserved.